In honor of Veterans’ Day, here are the true stories of two nearly-forgotten veterans! Both are buried at the historic Fredericksburg Cemetery, just off Highway 88. But with a little digging, we were able to learn his tragic story. Son of a prominent Nevada ranching family, Kermit enlisted in the Army on December 7, 1942, exactly one year after the deadly Pearl Harbor attack that launched World War II. He quickly was sent overseas to the European Theater as part of the Fifth Army, 351st Infantry, 88th Division, under General Clark, and for more than five months, was embroiled in active combat. Kermit died there in the streets of San Romano. His parents received a sad telegram notifying them of his death — and also received a letter in the mail that same day from Kermit himself, written six days before his fatal battle. But Kermit’s story wouldn’t end there. Although he was killed in 1944, his body was finally returned and buried here at Fredericksburg five years later, in 1949. Services were held for him first in Smith Valley, where Kermit had attended high school. Then a full military service was conducted here at graveside, complete with color guard, a three-volley salute fired over the casket, and the mournful playing of “Taps.” In Kermit’s honor, new VFW Post #8084 was established in Smith Valley, and post members served as his pallbearers. Kermit was just 34 years old at the time of his death — his young life cut short in service to his country. A native of New York, Chambers served in the Civil War. Although he survived that brutal conflict, he didn’t emerge unscathed. “They said you could hear the entire company coughing,” a descendant tells us. By the time he was discharged from the service, Chambers had contracted “consumption” — or in today’s language, tuberculosis. He eventually was granted a military pension of $12 a month as a result of his illness. The headstone of Sgt. Thomas Chambers at Fredericksburg Cemetery. (Photo courtesy of Judy Wickwire). Chambers went on to play a lasting role in Alpine history. In 1891, he became a founding member (and first president) of the Fredericksburg Cemetery Society, and helped with the purchase of its land. And in 1892, he homesteaded a 160-acre tract just east of Highway 88 (and east of the Cemetery). Among Chambers’ nine children were twins, Myron and Byron, who later became well-known ranchers in Smith Valley and Carson Valley. And the road near his homestead still bears his name: Chambers Lane. We hope you will remember both these brave veterans in your thoughts this Veterans Day, and that you’ll seek them out the next time you visit the historic Fredericksburg Cemetery. Interested in learning more about the lives of people buried at Fredericksburg Cemetery? Check out this self-guided walking tour. The tax man had a ready pencil. Back in the 1860s, young Alpine County slapped fees on just about every article and activity. Would-be voters ponied up $2 in poll tax for the privilege of casting their ballot. There was a broker’s license; a license to sell merchandise; a theater license; a peddler’s license; and a license for keeping billiard tables. On top of it all were hefty property taxes, which were imposed on all sorts of assets. A lawyer’s law library? Taxed. County scrip (that IOU when the County couldn’t pay you in gold)? Taxed. Cows, chickens, horses, and wagons all were taxed too. Pretty much anything of value became prey for the tax man’s eager pencil, including — wait for it — dogs. Saloons did a thriving business. With the abundance of saloons hard at work fueling early Alpine County miners, liquor licenses became an especially lucrative revenue source for county government. In one quarter of 1867, for example, liquor license revenue was 50% higher than the license fees collected from merchandise sellers. Distilleries, too, were supposed to pay a county license fee. Not surprisingly, bootleg operations quickly flourished. Bootleg liquor was a way to make ends meet during Prohibition. Secret stills reappeared in Alpine County during Prohibition years, artfully concealed in local barns. Once again, Fredericksburg seems to have been a center for this illicit activity. Want to read more tales from early Alpine history? You can order our books, Silver Mountain City: Ghost of the Sierra and Driving Tour of Woodfords, Diamond Valley & Fredericksburg here! Chambers Lane, a rural road at the southern end of Carson Valley, is just a place name these days. But it once was an early Alpine County homestead, owned by Civil War veteran Thomas Armstrong Chambers. 6th Heavy Artillery camped at Maryland Heights, 1863. Chambers’ heavy artillery unit was trained to fire large canon, and for much of the war was stationed as a defensive force near Washington D.C. But in the spring of 1864, the group was reorganized as an infantry force assigned to the Army of the Potomac. Thereafter the unit fought in such notable battles as Spotsylvania and Cold Harbor, and won military acclaim for their “gallant conduct” at the Battle of Harris Farm in May, 1864. Chambers himself was promoted during the war from private to Second Sergeant. When the war was over in 1865, Chambers returned home to New York, where he married Margaret Morgan about 1866. They eventually had a total of nine offspring, including a pair of identical twins, Myron and Byron. The family came west about 1873, settling first in the early mining town of Monitor, where the Chambers children attended school. Chambers worked as a carpenter. In 1892, he homesteaded a 160-acre ranch along the country road that soon took his name, Chambers Lane. 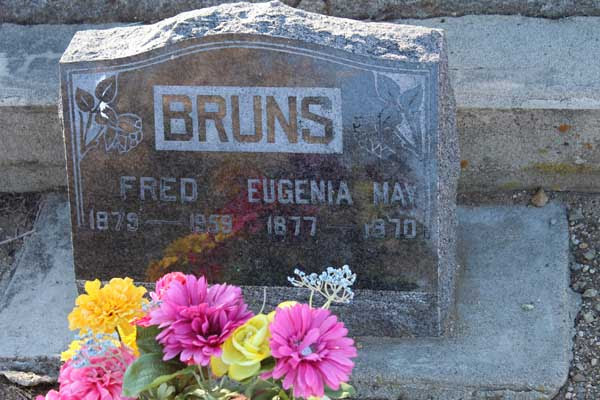 A devoted member of the local community, Chambers became one of the founders of the Fredericksburg Cemetery Society, helping the Society to acquire its cemetery land in 1891 from Frederick Bruns and serving as the organization’s first president. Chambers suffered from “consumption” (tuberculosis) acquired during his military service. “They said you could hear the entire company coughing,” a descendant noted. For this combat-related infirmity, he was granted a Civil War pension of $12 per month in 1882. Beautiful wrought iron gate and fencing surround the Chambers plot. When he passed away in 1912, Chambers was buried inside a beautiful wrought iron fence at his family plot in the Fredericksburg Cemetery. His wife, Maggie, was later laid to rest beside him, along with three of their children: Myron, Byron, and Ella. Thomas and Margaret Chambers are buried here. Someone has thoughtfully marked his grave with a flag for the Fourth of July! Today when you hear the place name “Chambers Lane,” we hope you’ll remember this proud veteran and Alpine County pioneer. And if you happen to visit, his Civil War headstone is the earliest military marker in the Fredericksburg Cemetery. 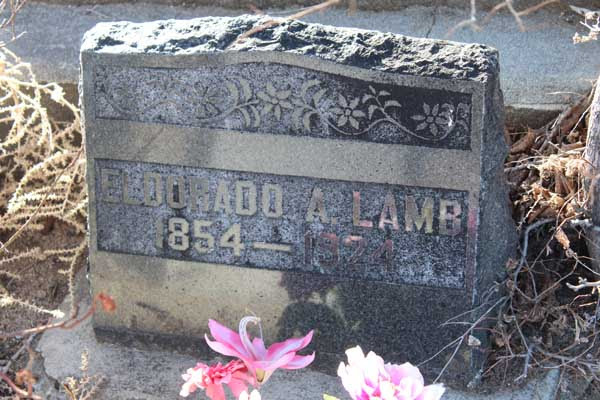 It’s a tiny gem of a cemetery, nestled on the eastern shoulder of the great Sierra Nevada. It’s also the last remaining vestige of the once-thriving ghost town of Fredericksburg, one of Alpine County’s earliest settlements. Since its first burial in 1895, Fredericksburg Cemetery has become the final resting place for many Alpine pioneers — and remains home to a nearly-forgotten tale or three. One fascinating story is that of Margaret Jones, a young Welshwoman. 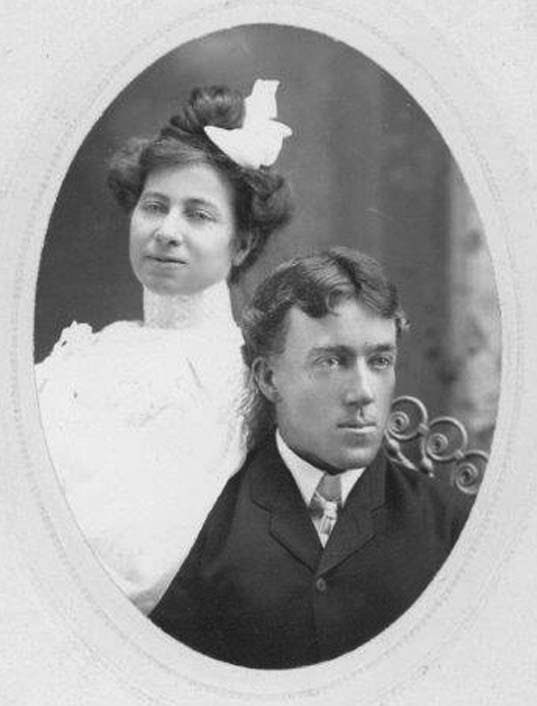 Margaret married Alpine rancher John Ellis in 1893 when he went home to Wales to find a bride. 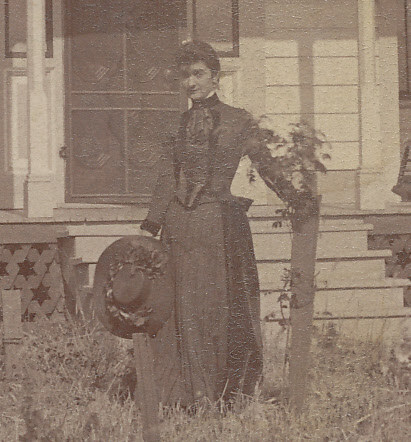 The newlyweds returned to Ellis’s Diamond Valley home, and Margaret soon settled in. 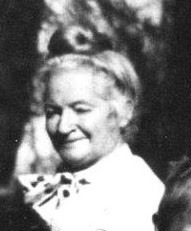 She was said to have the “gift of second sight,” and began to tell fortunes for local folks — so accurately, in fact, that her husband finally ordered her to stop. Her predictions were coming true so often that their Alpine neighbors found it disconcerting. Sadly, Margaret’s prediction came true; she died in childbirth exactly four days later. Graves of Margaret and John Ellis. Margaret was born in 1865 and died in 1901, just before her 36th birthday. Margaret Ellis is buried here at Fredericksburg, with her newborn child. John bought this cemetery plot on March 2, 1901, the day that Margaret died. And although he lived another 23 years, John now rests here beside her too. 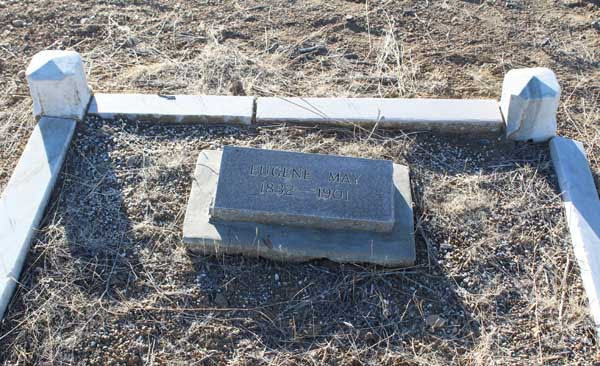 The Fredericksburg Cemetery is just south of the California/Nevada State line, off Highway 88, in Alpine County. (Map copyright K.Dustman).